Dutch fun fact time! Despite being a super tiny country (comparable to the size of Maryland) Holland ranks 3rd worldwide in value of agricultural exports, earning over $55 billion annually. Considering the limited amount of surface space here, I’d say that’s a pretty impressive feat. And the most significant agricultural export? 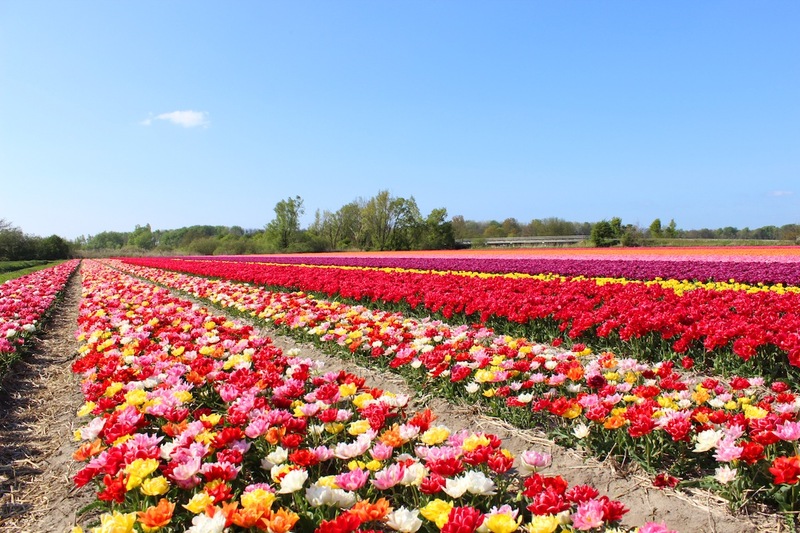 Fresh-cut plants, bulbs, and flowers – the Netherlands exports two-thirds of the world’s total! 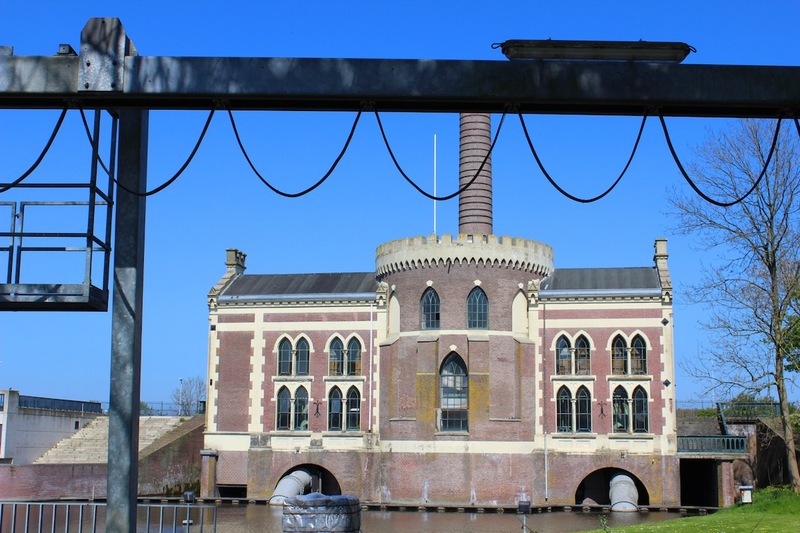 If you’re thinking of visiting Holland, I highly recommend coming at the end of April. 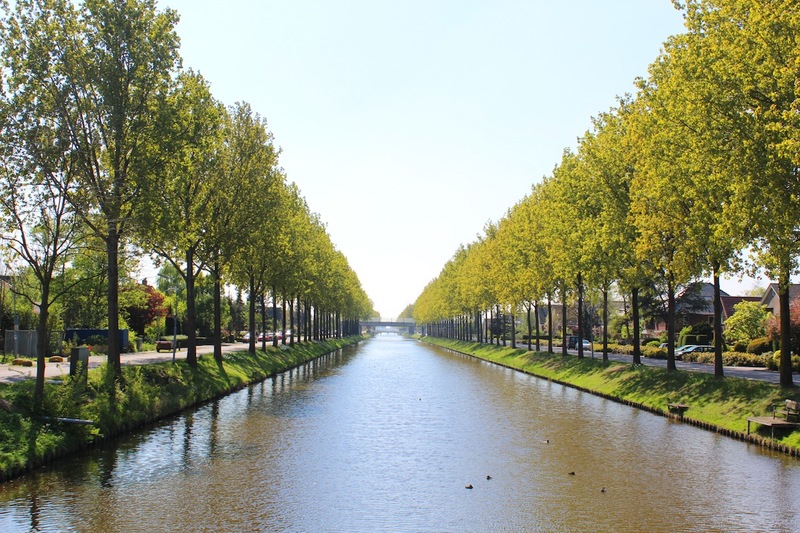 The trees are full on green this time of year, the sun is our until 9pm, Queen’s Day (I guess now formally known as King’s Day) is right around the corner, and the tulips, Holland’s most impressive crop, are in full technicolor bloom. But let me start from the beginning . . . B and I had a long holiday weekend, with Friday and Monday off of work. I’ve been dying to get out of the city, hop on a plane, and go somewhere steamy. But B is having a big stag-do weekend next month in Portugal, and in June we’re going to the US to get married. So I’m without a European travel companion at the moment (as B is holding out for his Portugal adventure), not to mention *trying* cough *should be* saving my pennies for a wedding. 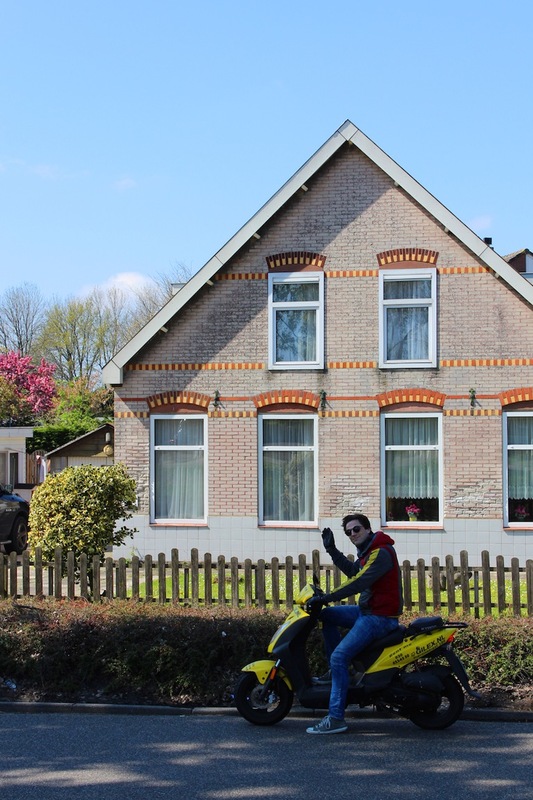 So in an attempt to escape the city, B and I rented a scooter for the weekend, and mapped out a route south, towards the Keukenkoh and through the endless tulip fields. We left early on Saturday morning, with a packed lunch and three layers of jackets! It was a beautiful day, but let me tell you, ridding in the open air on a scooter for three hours straight is C-H-I-L-L-Y! I was poking fun at B as he always somehow manages to color coordinate with our whip ;) Our feisty (squeaky) ride only went about 25 mph, so we stayed off the main roads and stuck to the bike lanes. My official job of the day was button-presser. 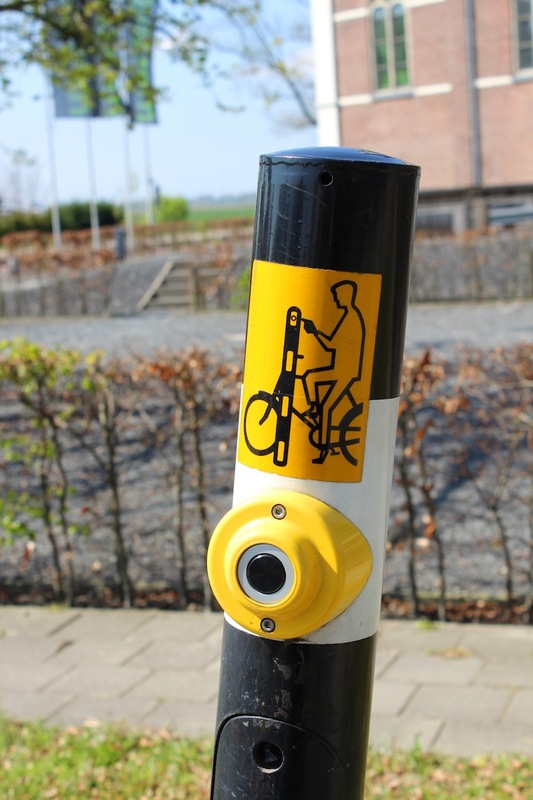 We would zoom up to a stop light, and it was my task to press the cross button so the light would change in our favor – double points if it hit it while we were still rolling! I love strolling down a new street, or walking on a bridge I’ve never crossed before. This is one of the many allures of escaping the city for a day. Experiencing some new, even be it so close to home. Don’t tell anyone, but my favorite part of the day was not seeing the tulips. Half way through our adventure, B had to stop for some scooter maintenance. I hopped off, started to wander a bit, and then made the most amazing friend . . . . We had stopped right by a horse pen, and inside was the most adorable foal I have ever seen. His knees were wobbly and he had a curious walk. When I walked over to the fence, his little head popped up and he came trotting over. Clearly not shy one bit! I stuck my hand through the fence to say hello, and he walked right up to return my greeting. 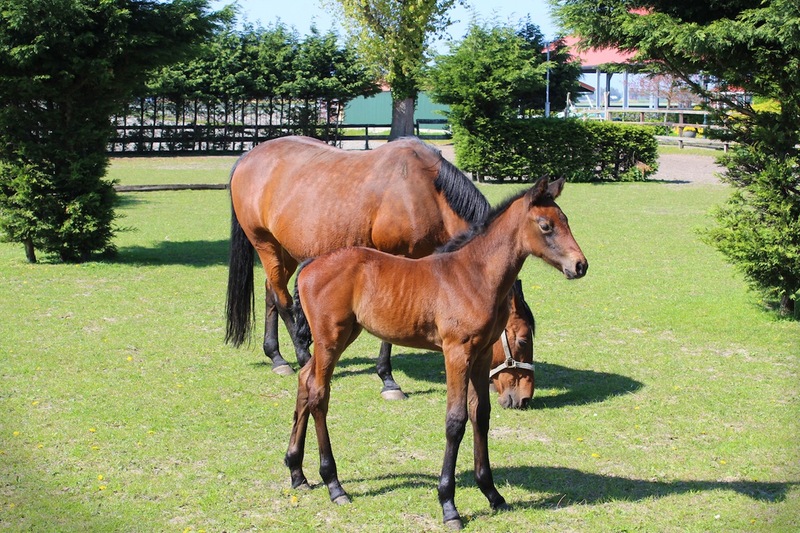 OK little foal, you win cutest part of the day! After another hour or so of zooming around, we stopped by a lake for lunch. 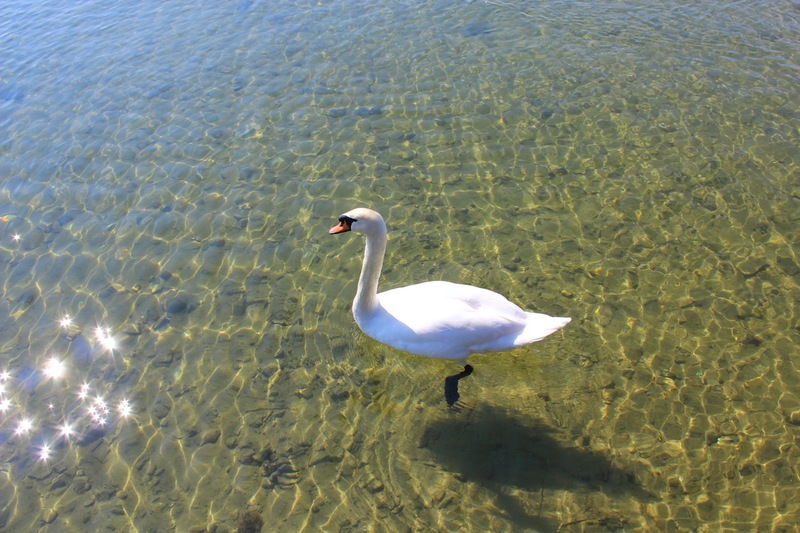 The lake was crystal clear and beautiful. If it had been warmer, our picnic stop would have also been a swim stop! 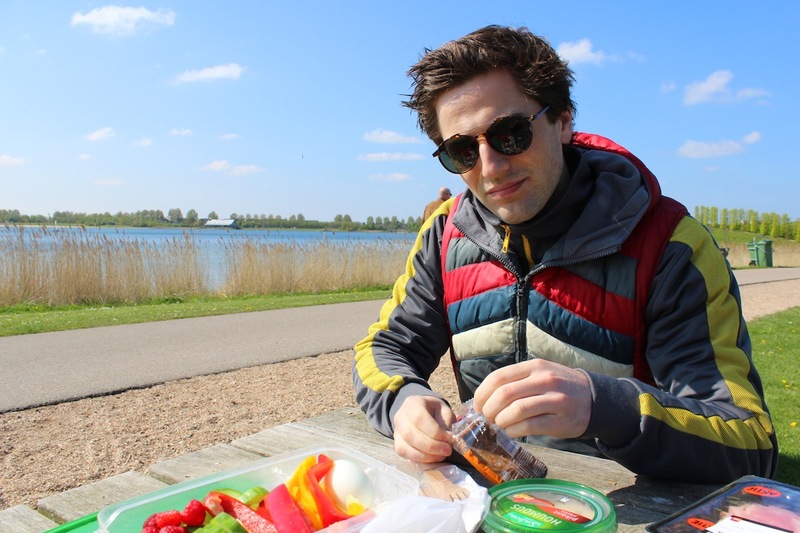 I was super picnic-lazy and bought a bunch of prepared snacks from the store. Platters of olives, salami, stuffed figs, and cheese. Hummus, a smoked fish plate, ham and multigrain bread. And a big tub of cukes, peppers, and raspberries. I have to say, scooting around is tiring! The wind is whipping in your face, you’re gripping on to the bike with your thighs, and your using your core to sit upright and lean in. It may not be the exercise equivalent to pedaling around on a bike, but boy does it work up an appetite! Following our feast we laid around on the grass – low to the ground, where the sun was warm and the wind was scarce. We did a quick map check and realized we were only a mile or two away from our destination – hurrah! 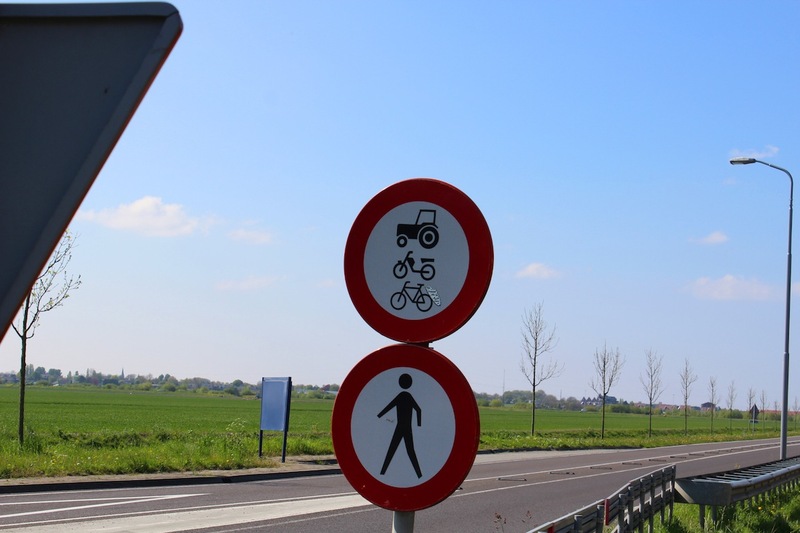 As you can tell by the signs, we had entered farm territory. . . . . also known as banana country! 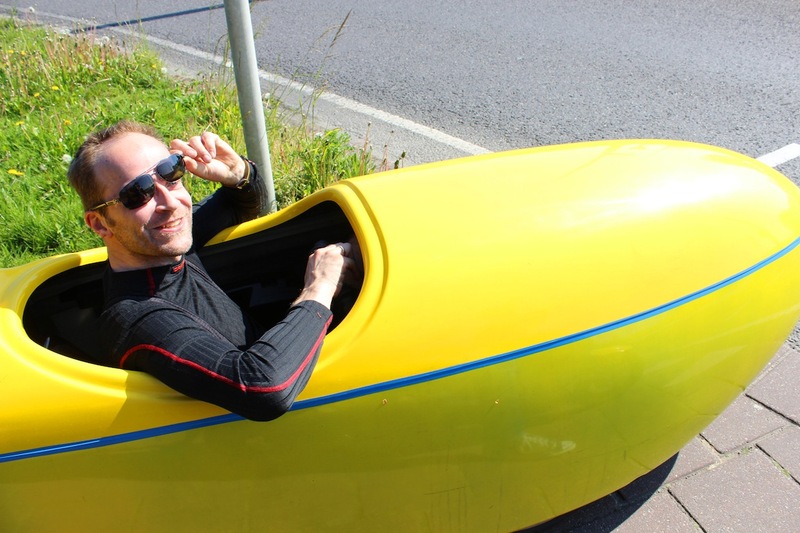 This goy rocked up next to us at a stop sign, and ok, I know it’s awkward, but I couldn’t NOT say hey to the man in the banana car. I asked if I could take his photo, and B asked if he was pedaling down there – to both he answered yes! Not long after our banana encounter, we found some yellow beauties of another breed. We had made it to the stunning flower fields, where rows and rows, miles and miles were filled with colorful, blooming flowers. Some people walked, others biked. Some stopped to take a photo, while others just cruised on by. It feels odd to look at the horizon, and see such a bright, colorful spectrum. Although these fields were planted by farmers, ultimately, I found myself in constant awe of Mother Nature. 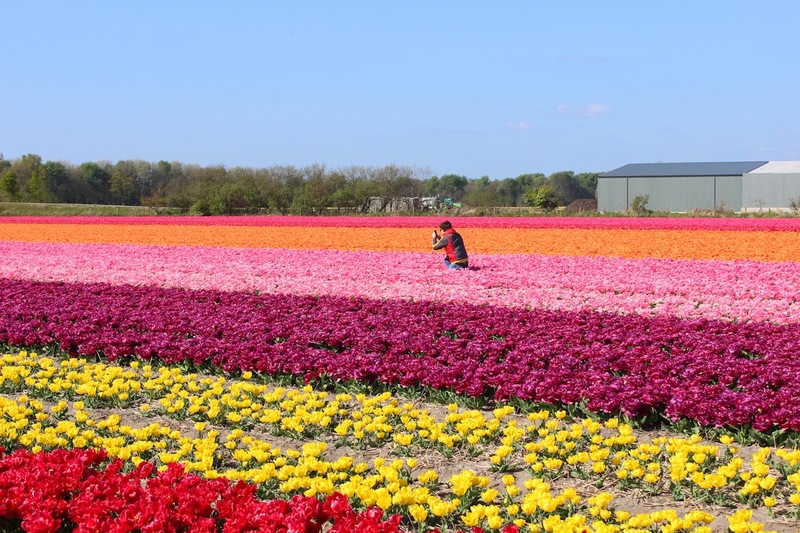 It’s a dazzling thought that such beautiful, bold, and blazing colors can grow and thrive in this world, and the chance to witness the Dutch flowers in full bloom was a breathtaking experience. Eventually we picked field to park our scooter by. One that was not just red, not just pink, not just yellow – but a radiant rainbow of all the best colors. B hopped away and and started snapping on his iPhone while I walked up and down the long, beaming rows of flowers. Eventually I grabbed B’s attention, and he helped me take a few shots on my DSLR. Of a hide and go seek moment. . . .
And a ‘yippee! 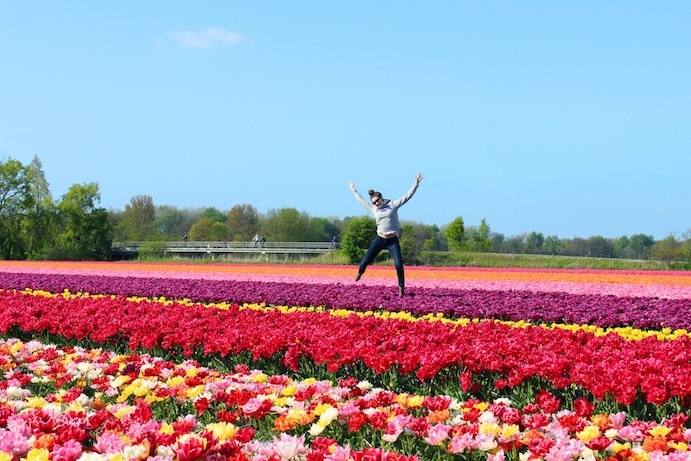 !’ moment :) If you’re looking to see the flower fields in Holland, plan your trip sometime in April through the beginning of May. 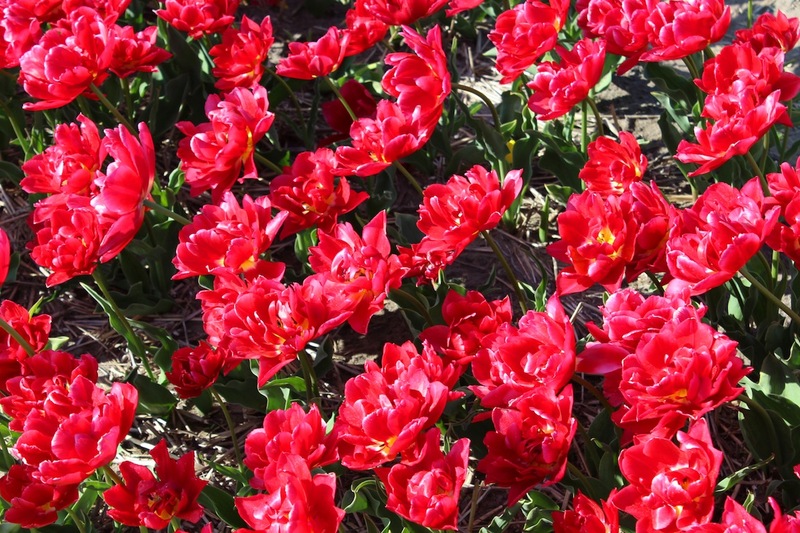 I suggest starting your flower tour with a trip to the Keukenhof, which is the world’s largest flower garden. You can buy a ticket to the Keukenhof in Amsterdam, and it will come with a bus ride to the garden. 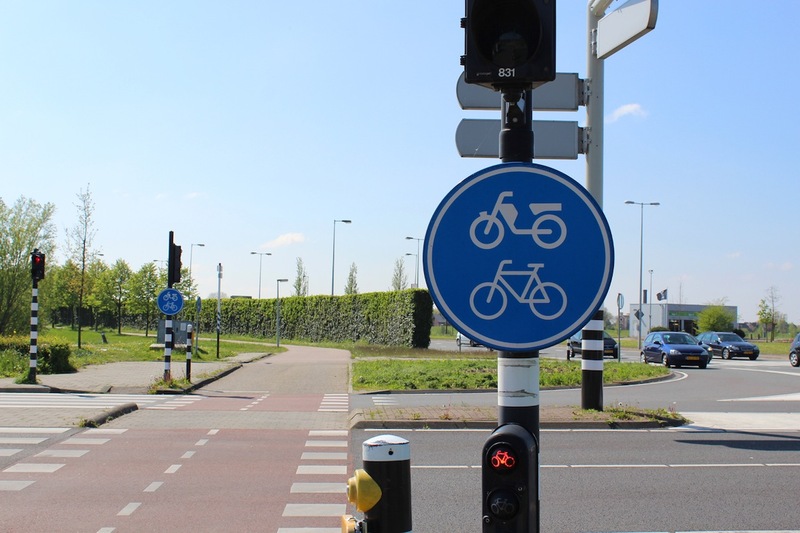 After exploring the Keukenhof, you can rent a bike (just outside in the parking lot), and your bike rental will come with a map of the local flower fields. 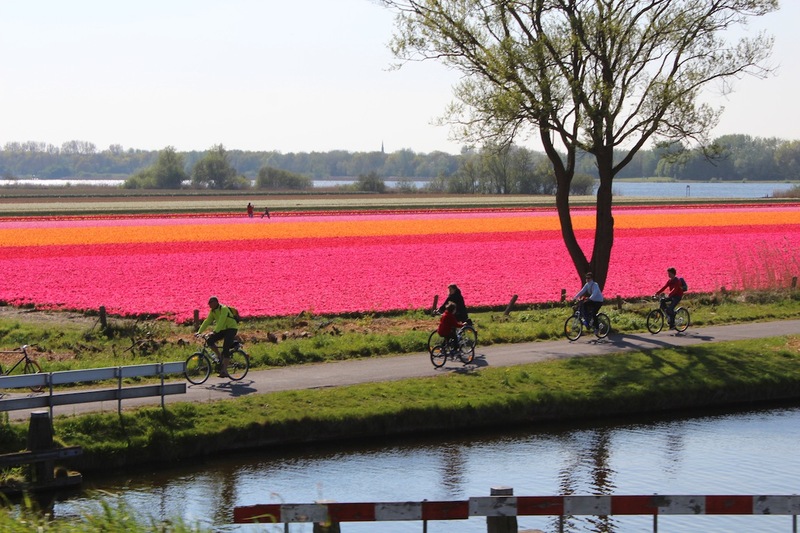 You can follow the route and tour along the fields, stop for a coffee, and then cruise back to the Keukenhof to catch the return bus to Amsterdam. 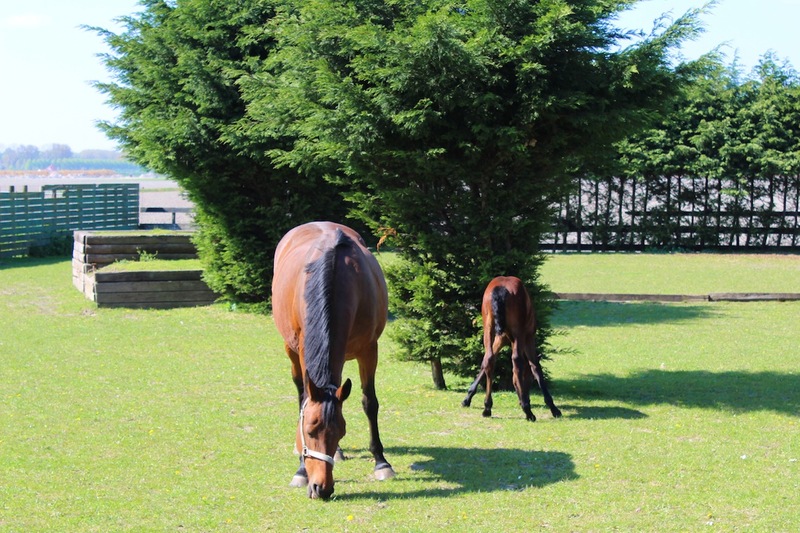 It’s a lovely day trip away from the city, and really is a once in a lifetime adventure! I hope you all had a lovely long weekend as well! What did you get up to? 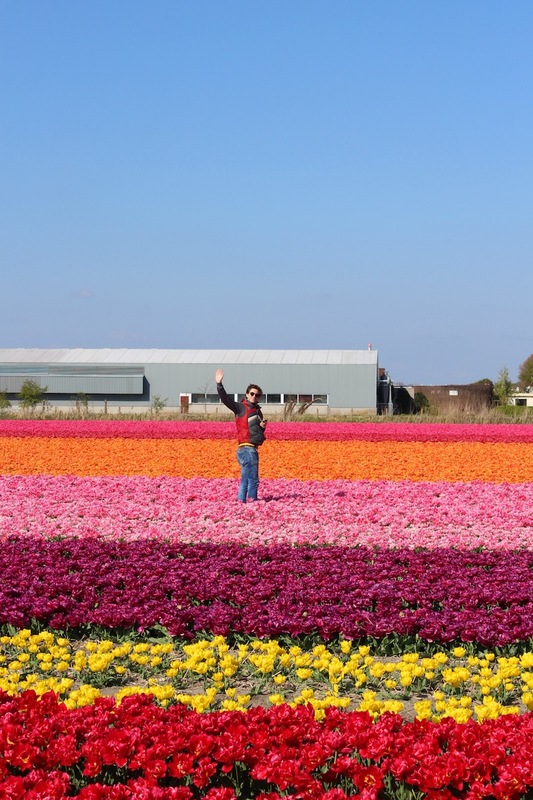 Have you ever seen the flower fields in Holland? Endless flowers are a feat for my eyes, Ali. Thank you! There amazing aren’t they? I was lucky enough to go one time! :) me too. and their stroopwafels! 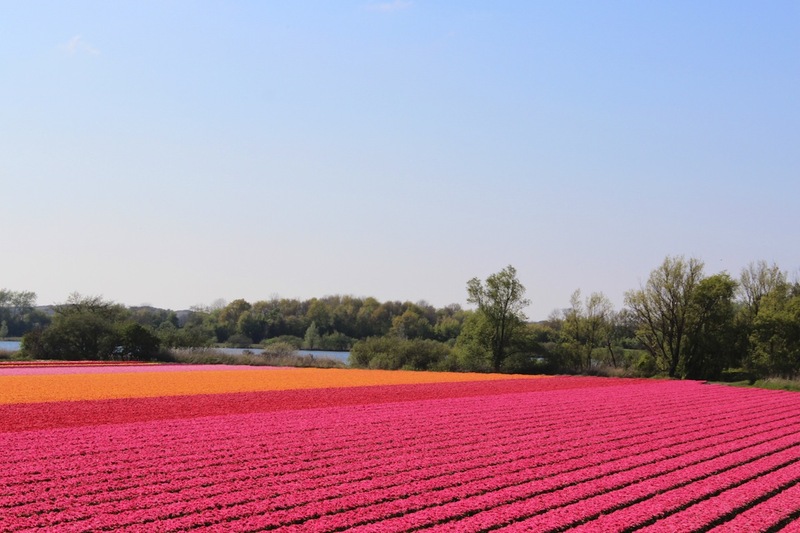 I was in Holland couple of times and l saw these magnificent field. Last week we went to Carlsbad here in California the flowers fields,5thousand acres of flowers. Pretty! 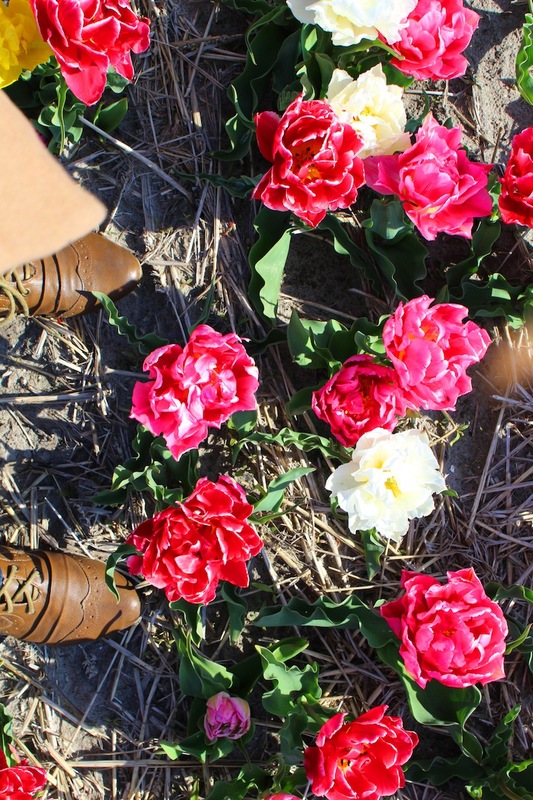 I lived in Michigan for a year and went down to Holland, Michigan to see their tulip fields. They were amazing but likely a very small version compared to the fields actually in Holland. It really is such a cute village…if you are ever on the south west coast of Michigan its worth a stop in my opinion. So so so beautiful! 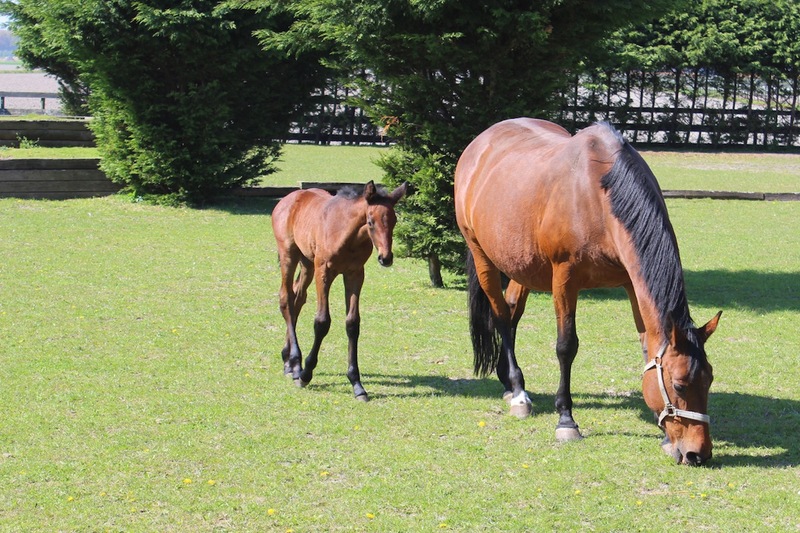 I MUST get there at some point–really lovely photos, absolutely capture the feeling of spring! Wow, wow, wow! This place is just unreal – so colorful and bright! 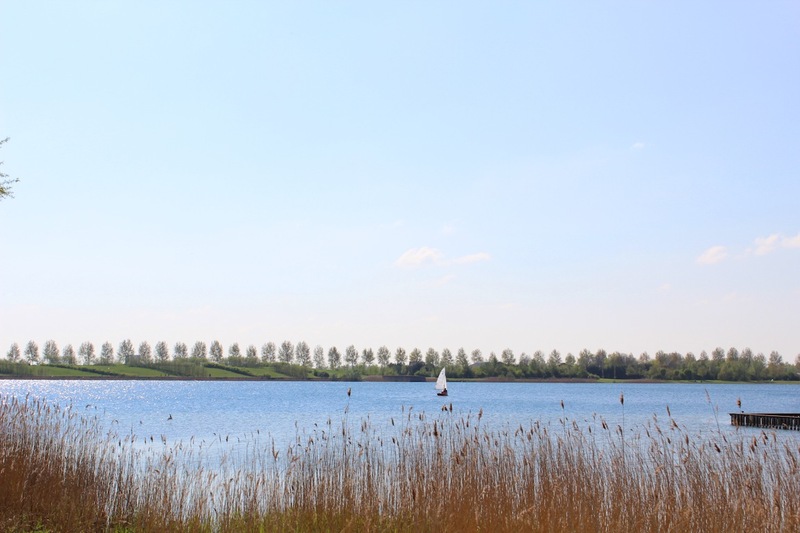 I’m planning on moving to Holland in September so I am adding this place to my bucket list, DEFINITELY :). 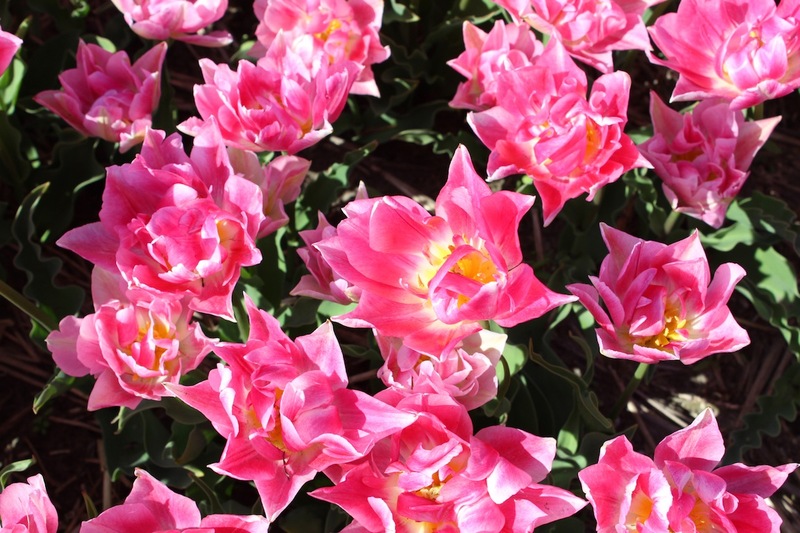 Dutch tulips are found in several areas. 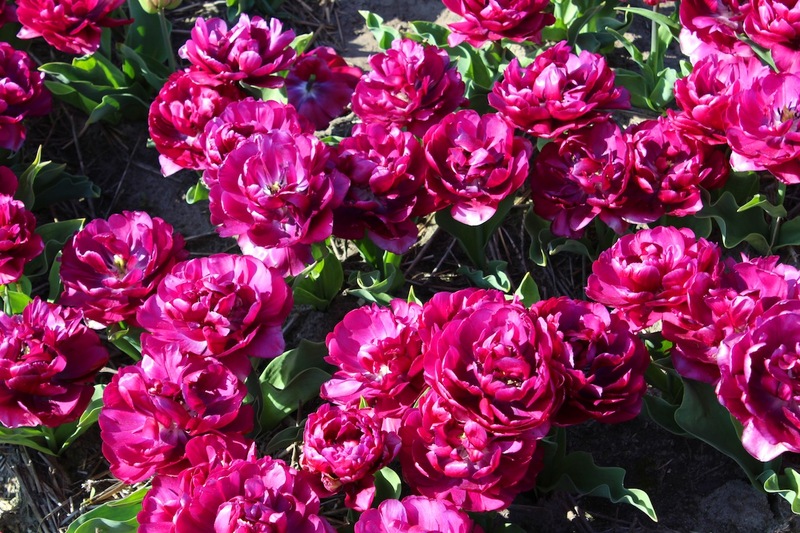 There are tulips in the Westland, tulips in North Holland and also in the Noordoostpolder. 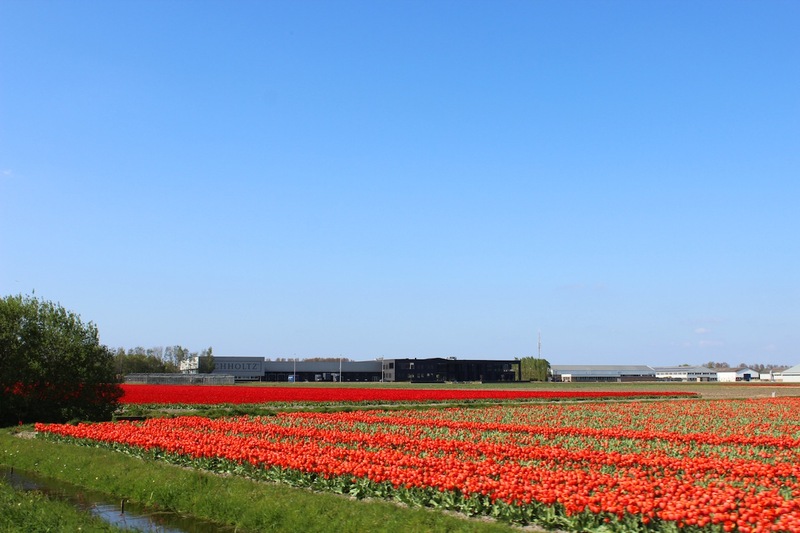 But did you know that the Noordoostpolder has the most tulips of the whole country? 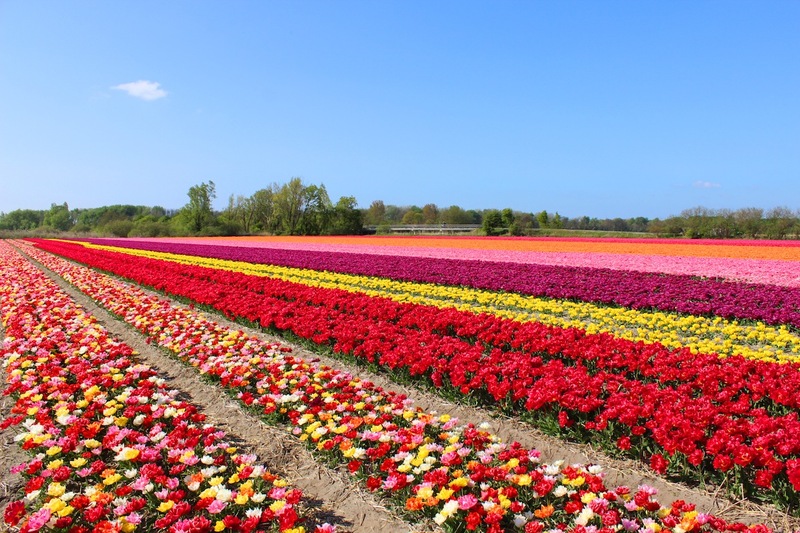 The Tulip Festival was created to introduce you to the tulip fields in the Noordoostpolder. 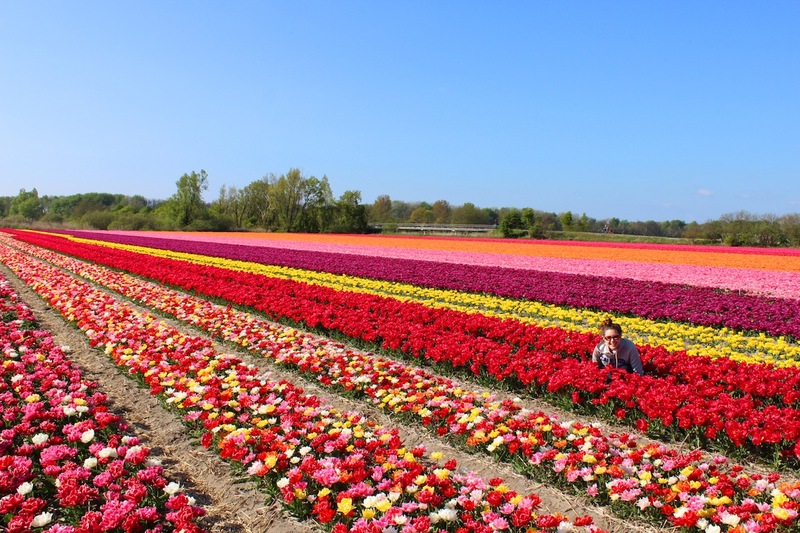 Every year thousands of people come to see the tulip fields of the Noordoostpolder. 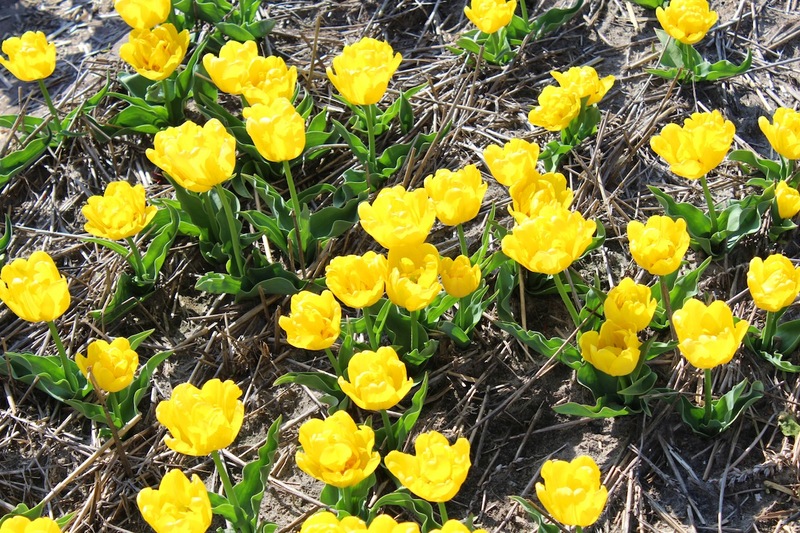 The tulip bulbs that were planted a few months ago, have now transformed acres of land into a colorful spectacle. 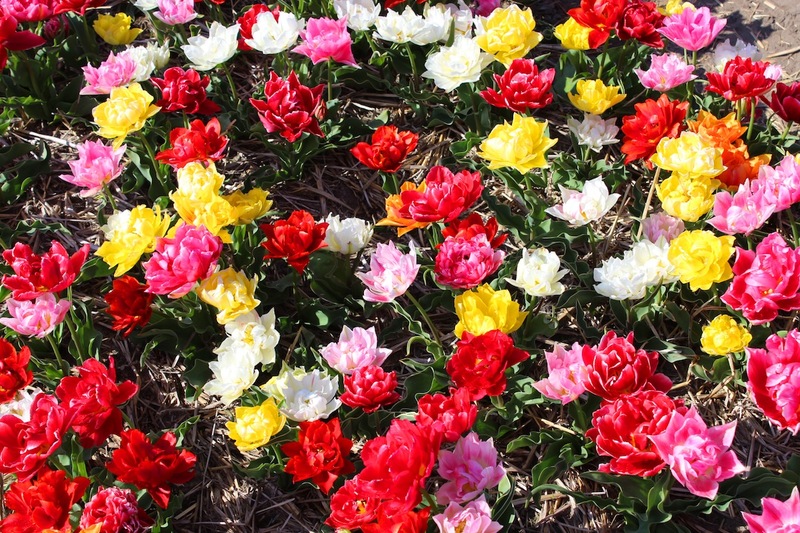 omg the bed of tulips are so pretty~!! I plan to visit in last week of April 2017.